An Ohio teenager recently got vaccinated, against the wishes of his mother, after he conducted his own research that challenged what he'd been told during his childhood. Jill Wheeler, the mother of Ethan Lindenberger, 18, was vaccinated her oldest daughter and partially vaccinated her oldest son. But, according to NPR, when he found out he could opt out of immunizations, he did not vaccinate his youngest five children, including Lindenberger. As a child, Lindenberger told NPR that his mother told him about negative side effects of vaccines, including a theory that they cause brain damage and the debunked study that vaccines are linked to autism. Given that most of his siblings were not vaccinated, the teenager thought it was normal to not be immunized to diseases. However, in school, he learned that all his friends were vaccinated and decided to look into the debate himself. What he found was that there was "a lot more evidence" in favor of vaccinations. Lindenberger showed his mother an article from the Centers for Disease Control and Prevention (CDC) about how vaccines do not cause autism, but it did little to change her mind. "Her response was simply 'that's what they want you to think, '"Lindenberger told NPR. "I was just blown away that you know, the largest health organization in the whole world would be written off with a kind of conspiracy theory-like statement like that." At 18, Lindenberger controls the vaccinations he gets and has since been immunized for HPV, hepatitis A, hepatitis B and influenza. While his father, who shares his mother's anti-vaccination beliefs, acknowledged that the 18-year-old could do what he wanted, his mother was hurt. "It was like him spitting on me," Wheeler told Undark. "Saying, 'You do not know anything, I do not trust you with anything. You do not know what you're talking about. You did make a bad decision and I'm gonna go fix it. '" Lindenberger's opinion on vaccinations has not changed his mother's mind, but Wheeler did say it's been a learning experience. Instead of just not vaccinating her children, Wheeler told Undark that she's realized she needs to educate her children on why she does not believe in it. By the age of two, the CDC recommended children be vaccinated for hepatitis B, hepatitis A, diphtheria, tetanus, whooping cough, meningitis, pneumococcal bacteria, polio, influenza, measles, mumps, rubella and chicken pox. 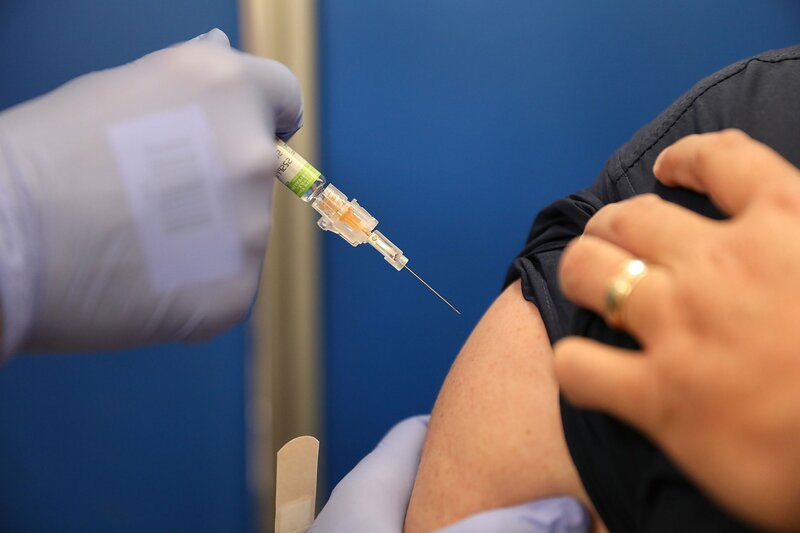 Although some argue that immunizations are unnecessary because diseases such as polio are quite rare in the modern day, the CDC said a large reason people do not contract polio is due to the vaccination. Until the disease is completely eradicated, the CDC said people need to continue to be vaccinated to stop it from spreading and reversing the progress that was made.